Then, fill out the form to the right on the webpage and click Register. Within 5 minutes, you will receive two messages to the email address indicated during the registration; one message will contain the login, the password, and the link to accept agreements. * If the letter does not come, make sure you specified the correct an email, check your spam folder and try again. 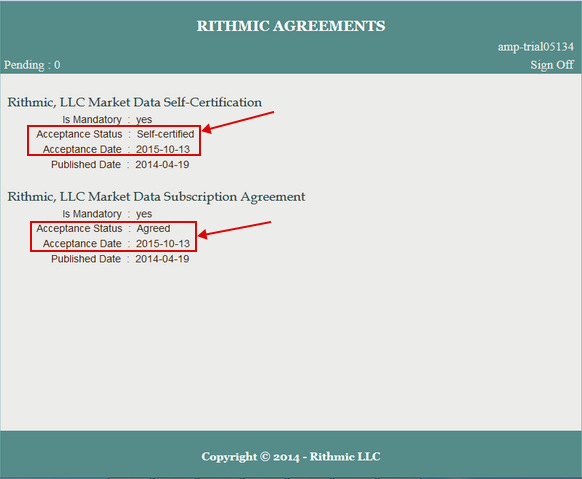 After following the link, you will be taken to the RITHMIC AGREEMENTS page. Please enter the login and the password you have received by e-mail and click the Login button. This will open a webpage with two agreements to be accepted. 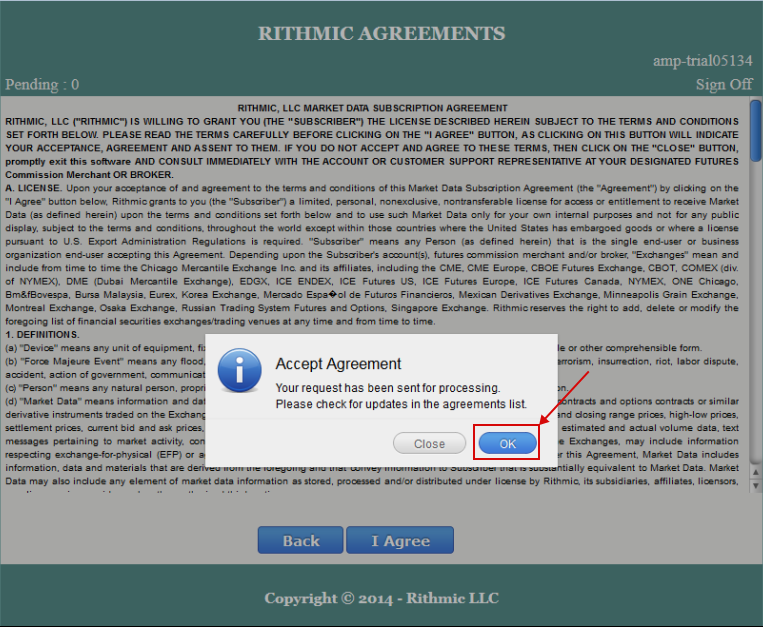 Click on an agreement to open the agreement form. 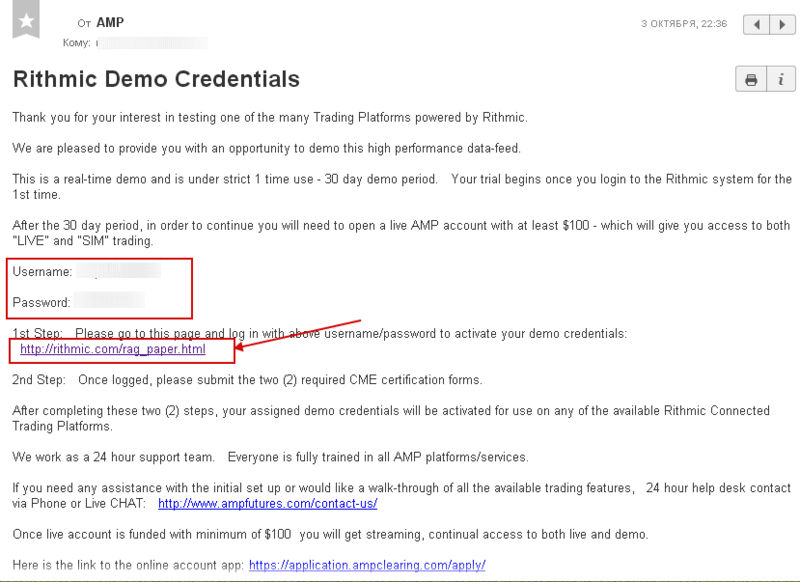 Important: in the first agreement, select Non-Professional if you do not want to pay for the use of Rithmic and click Submit. 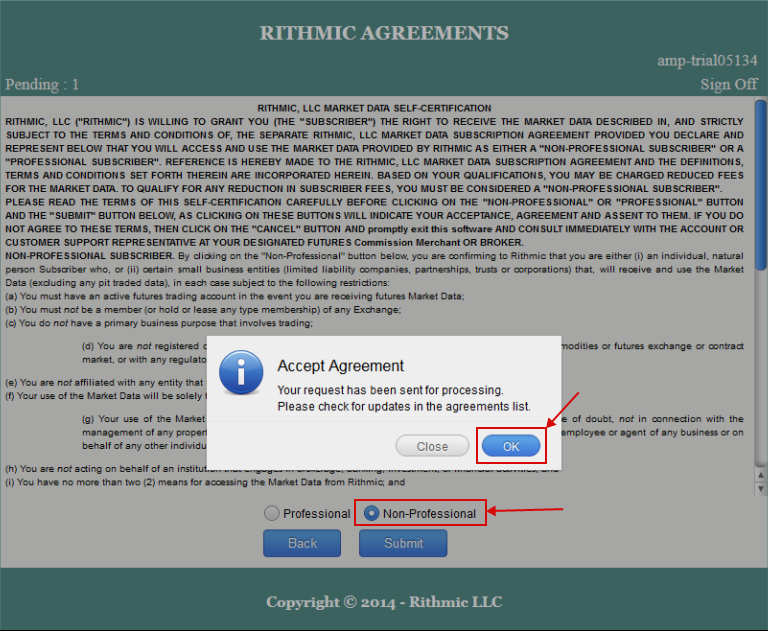 Carefully read the second agreement, if you agree, click I Agree, and then click OK. 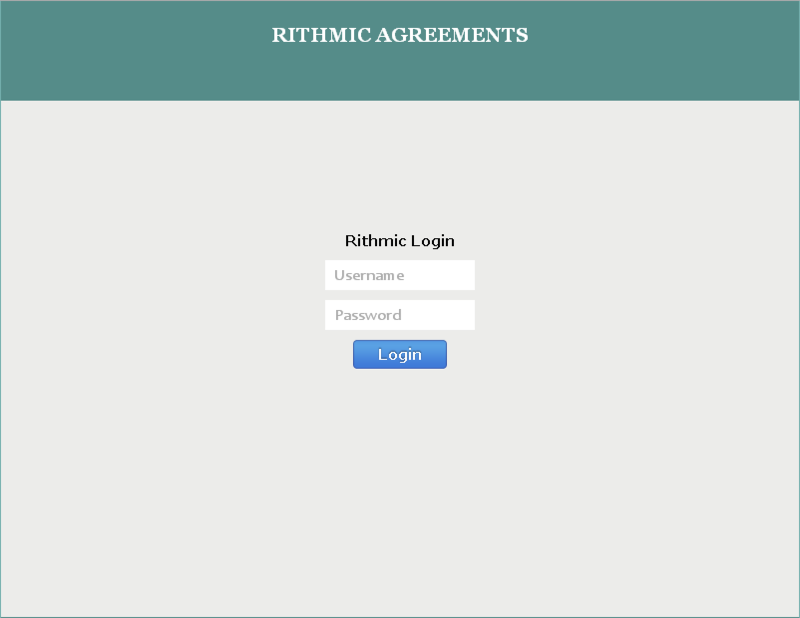 This concludes the Rithmic Demo account activation procedure. Now you can connect your newly created account to the ATAS platform. 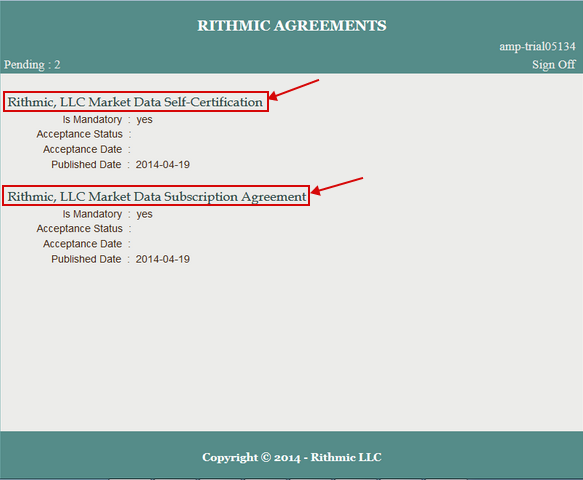 You can find detailed information on connecting here: Rithmic connection.